The latest news on afterschool engineering curricula from Engineering is Elementary® (EiE) at the Museum of Science, Boston. 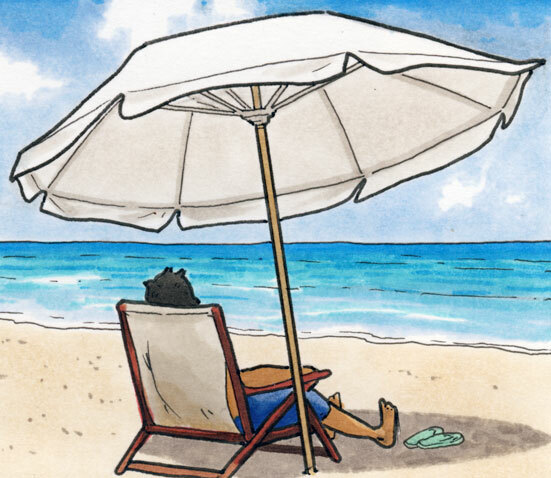 Summer is finally here. The proof? The giant snow pile near our headquarters in Boston has finally melted! And camp programs across the country are in full swing running exciting engineering activities. 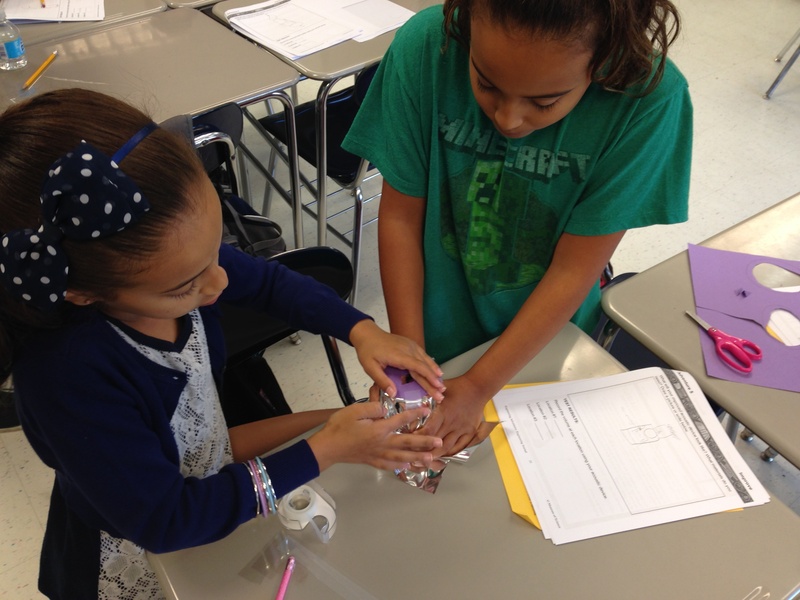 There’s so much news to report in this edition of Afterschool Engineering Update: two new Engineering Everywhere (EE) units are now available, we’re pilot testing a new Engineering Adventures (EA) unit, and our recent survey helped us learn what kinds of updates are most important to you as an afterschool educator. These stories and plenty more will help you prepare for back-to-school time, which is right around the corner. We always love to hear from educators near and far. Please contact us to share your experiences, questions, or comments. Just in time for the upcoming school year, check out two new units from Engineering Everywhere, our afterschool curriculum for middle school-aged youths. For a mechanical engineering challenge, have youths design their own timekeeping devices with It’s About Time: Engineering Timers. Challenge youths to be chemical engineers with Plants to Plastics: Engineering Bioplastics where they design plastic from eco-friendly plant-based materials. Each unit starts with a short video that sets a context for the engineering challenge. It’s About Time tours the Electric Time Company, which engineers large clocks for public spaces. Plants to Plastics takes viewers on a virtual visit to Metabolix, a company that makes bioplastics. “The new units were a lot of fun to make, and a real team effort,” says curriculum developer Owen Berliner. 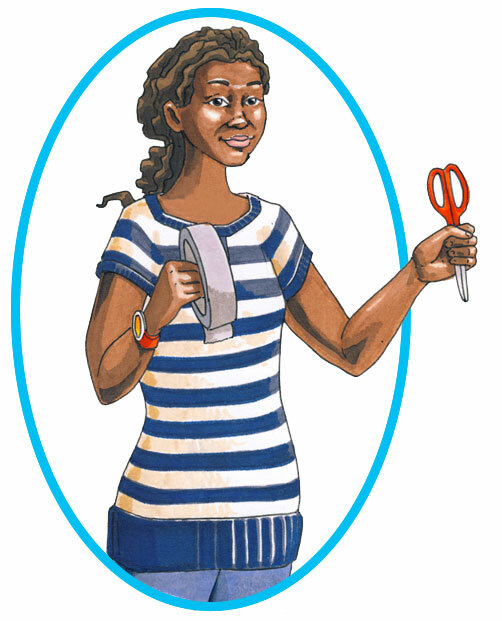 Like all of our afterschool units, they are available as free downloads on our website. Speaking of new units, we are currently pilot testing a new Engineering Adventures unit called Music to My Ears: An Acoustical Engineering Challenge. Our development process is a lot like the engineering design process (EDP): we gather feedback from pilot sites around the country to improve the activities in the curriculum. Beth Delaney is an OST educator at one of our pilot testing sites, the A.C. Whelan Elementary School in Revere, Massachusetts. The kids in her group were challenged to engineer an acoustical device that could amplify a recording of a traditional Mongolian song played on a small speaker. One participant explained how his group used the first step of the EDP by saying, “We asked how we could make the sound louder.” Groups answered this question by applying the knowledge gained from their investigations. Kids modified the materials and shapes of their original designs in order to make the sound reach multiple locations in a crowd. Thanks in part to the hard work of our pilot sites, this unit will be available for download in early 2016. Stay tuned! New Materials Kits Make Preparation a Snap! All of our afterschool curriculum units call for inexpensive and easy-to-find materials. But if you’re short on time, can’t find a key item at your local crafts store, or just want the convenience of a prepared kit, we do offer kits for many of our units through the EiE store. And the collection is growing! We’re excited to announce that kits for EA unit The Sky’s the Limit: Engineering Flying Technologies and the EE unit Food for Thought: Engineering Ice Cream are now available for purchase. Try one out at your afterschool program today! 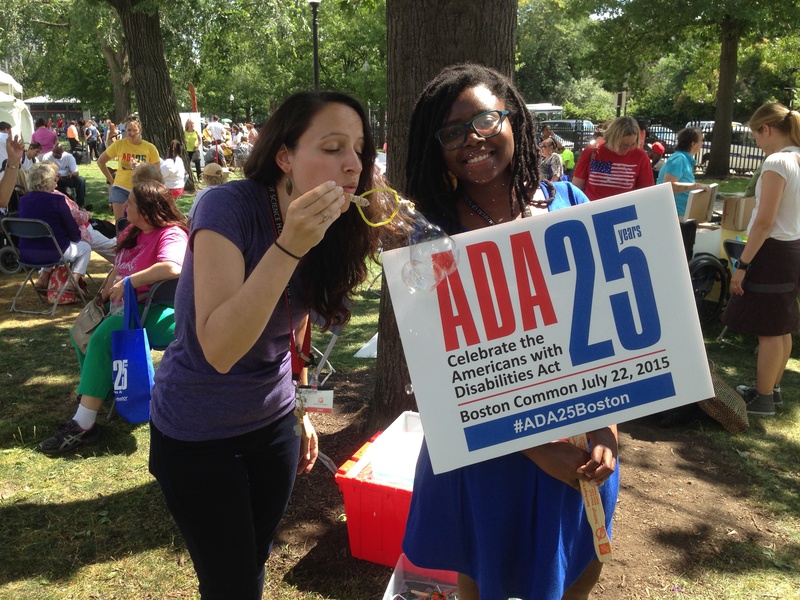 Our team was excited to take part in the Boston celebration of the 25th anniversary of the Americans with Disabilities Act. The landmark legislation created equal access and opportunities for persons with disabilities, and its guiding principles directly complement one of our core goals: to engage all learners in engineering, especially those historically underrepresented in STEM. We had a great time facilitating an activity from our Engineering Adventures unit Bubble Bonanza: Engineering Bubble Wands. Members of the public were challenged to create bubble wands that produced bubbles of different shapes and sizes. We were impressed by all of the creative and surprising designs that participants engineered. Each Engineering Adventures and Engineering Everywhere unit wraps up with an "Engineering Showcase." It's a great opportunity for kids to share their engineering accomplishments with others. You can build excitement for the showcase by encouraging your kids to invite their friends and family members to the event. Consider adding an arts and crafts activity where kids design invitations to the showcase! Do you have any tips or tricks you’d like to share with fellow educators? Let us know on our website for a chance to be featured in an upcoming edition of this newsletter. Thanks to everyone who completed our newsletter survey in June. Our questions were aimed at getting to know you, our audience, and hearing what you think about the content of this publication. Based on the results, you are part of a highly educated group of dedicated afterschool and classroom educators--over half of you hold master's degrees and have been teaching for over 15 years. Afterschool engineering is important to those of you who are school STEM coordinators, homeschool teachers, librarians, and university administrators. Most of you are reading in order to keep up with announcements of new EA and EE units and to learn tips and tricks for the units you're already implementing. We also asked about ways we can improve the newsletter, and we will be using the helpful information you provided to continue making it better! If you have any additional thoughts or comments about this newsletter, please don’t hesitate to let us know! We’re excited to continue to engage in dialog and contribute to the community of OST professionals! You received this email because you are subscribed to Newsletter from Engineering is Elementary | Museum of Science. If you prefer not to receive emails from Engineering is Elementary | Museum of Science you may unsubscribe or set your email preferences.